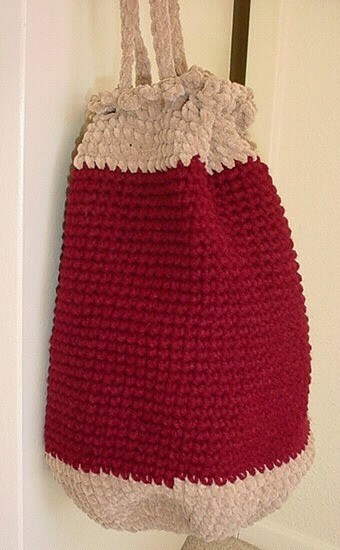 Fun unisex tubular tote with pico edging. Pick your own colors. 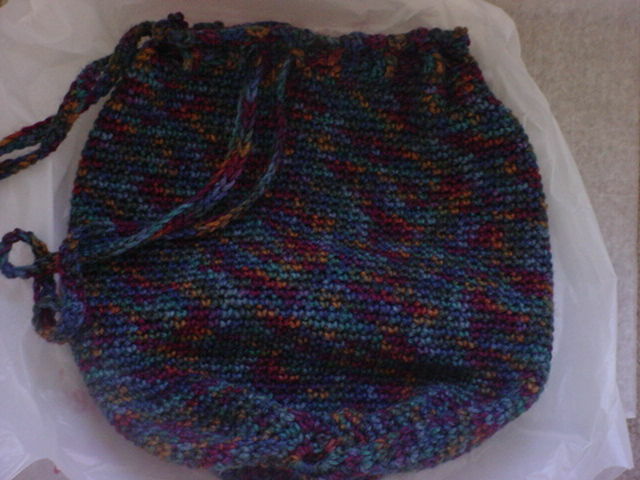 Tote is made with worsted weight yarn or cotton yarn. Tote can be worn in a variety of ways: across or over shoulders, as a backpack and other ways! Fun everyday, sturdy tote. Size shown is approximately 11" (inches) high and 6" (inches) wide. Machine washable/dryable, unless special care yarn style selected. You may choose any one (1) to four (4) preferred colors of your choice, order of colors, if necessary, and other yarn style when completing order form, or contact us before or immediately after your order is placed to specify colors.